Consumer banking is a major source of earning for Standard Chartered Bank. The principal issue to be considered while giving the facilities to individual consumer or to groups is the opportunity associated with such activities. Consumer banking opportunity is analyzed through considering a number of factors involved in it. All financial institutions have their individual way of measuring and managing opportunity to keep it at the highest possible level. To briefly discuss about the current customer satisfaction level after increasing some charges and fesses. The report limits its scope to Standard Chartered Bank only. Customers financial Information and information at the bank is confidential & critical. Total customer satisfaction level judged by statistical measurement no such financial judgment is used here. Standard chartered bank is the leading foreign bank in Bangladesh. The report is based on both primary and secondary research. The secondary research provided the main input for the report. This provided a theoretical basis of the report. The primary research was done to know about the banks working procedures and different segments of banks. Primary data was collected form the users of software EBBS. Relationship managers and respective unit heads are interviewed who are using this software to analyze the financial strength of the customers. The secondary data has been collected from the different publication and brochures of Standard Chartered Bank. To clarify about different product Internet, different articles published in the journals & magazines are used. Sample is collected randomly from customers those visit the branches of Standard Chartered Bank. For the organization part information has been collected through different published articles, journal, and brochures. Formal questionnaire for data collection is used for better understand of customers’ current satisfaction level after the charges increased by bank. Basic company Information is collected through informal discussions with Relationship managers & respective Unit heads of SCB. In the organization part information is provided in a descriptive manner. In the project part data analysis has been done into two parts. One is the data presentation. The second part is analysis. Statistical analysis of the quantitative data has been done. Based on the survey result I use SPSS software to get the statistical analysis. Capitalize on the good track record created by its more than 150 years of operations in these regions by building unique position and image among the target customer segment and being responsive the needs and serve the needs better than the competitors. SCB has a history of more than 150 years. The name “Standard” stems from the two original banks from which it was founded-“Chartered Bank” of India, Australia and China and “Standard Bank” of British South Africa. A Royal Charter granted by Queen Victoria of England established chartered bank in 1853. The main person behind the Chartered Bank was a Scot, James Wilson who had also started “The Economist” still one of the most eminent publications today. He foresaw the advantages of financing the growing trade links with the areas in the East, where no other financial institution was present that time widely. The Standard Bank opened for business in Port Elizabeth, South Africa, in 1863. It pursued a policy of expansion and soon amalgamated with several other banks including the Commercial Bank of Port Elizabeth, the Coles berg Bank, the British Kaffarian Bank and the Fauresmith Bank. The Standard Bank was prominent in the financing and development of the diamond fields of Kimberly in 1867 and later extended its network further north to the new town of Johannesburg when gold was discovered there in 1885. Over time, half the output of the second largest goldfield in the world passed through the Standard Bank on its way to London. Even within this period of apparent retrenchment Standard Chartered expanded its network, re-opening in Vietnam in 1990, Cambodia and Iran in 1992, Tanzania in 1993 and Myanmar in 1995. With the opening of branches in Macau and Taiwan in 1983 and 1985 plus a representative office in Laos (1996), Standard Chartered now has an office in every country in the Asia Pacific Region with the exception of North Korea. In 1998 Standard Chartered concluded the purchase of a controlling interest in Banco Exterior de Los Andes (Extebandes), an Andean Region bank involved primarily in trade finance. The MESA region performed well in year 2002. The region accounts for approximately eleven percent of the group’s revenues. The integration of Grindlays was successfully completed and the group is now one of the leading international banks in each of its chosen markets in the region. The contribution of the Group’s business in the United Arab Emirates reflects the businesses. Standard Chartered now holds leadership positions in most of its key product segments in the UAE. The average number of employees in the Middle East and other South Asia region in 2002 was 2995. Hong Kong remains the Group’s largest market, generating one third of the Group’s revenue. They have a network of 74 branches. Standard Chartered has been transacting business in Hong Kong since 1858 and they issue bank notes there. In 2002, Standard Chartered became the first FTSE 100 Company to launch a new dual primary listing in Hong Kong. This will make the Group more accessible to Asian investors and will enhance the Group’s regional profile. The average number of employees in Hong Kong in 2002 was 4,677. Standard Chartered has been doing business in Singapore for 144 years and has 20 branches and offices, the largest branch network among foreign banks. The business in Singapore accounts for approximately eleven percent of the Group’s revenues. Standard Chartered has Qualifying Full Bank Status, which has enabled expansion of the distribution network. In 2002, Asian banker magazine named Standard Chartered the ‘Best Retail Bank in Singapore’. The average number of employees in Singapore in 2002 was 2,451. Standard Chartered is the oldest bank in Malaysia, where there is a network of 29 branches. Malaysia is another of the group’s core markets with broadly based business as a result of long established franchises. The group continues to expand its Shared Service Center that was opened in 2001 and carries out operations and processing activity. The Centre in Kuala Lumpur has contributed significantly to improvements in the Group’s processing and service efficiency. The group has more than 80 branches and 14 offices in 14 countries across the region. In China, Standard Chartered has one of the largest branch networks of any foreign bank and is well positioned for growth and opportunities. The group is developing its Consumer Banking business and has opened branches in Shanghai and Shenzhen. In Thailand, the integration of Nakornthon Bank was successfully completed in 2002.The average number of employees in other Asia Pacific in 2002 is 4851. Standard Chartered is the largest international bank in India and, following successful completion of the integration of Grindlays, have a combined customer base of 2.4 million in Consumer Banking and over 1200 corporate customers in Wholesale Banking. The group launched its business in Mauritius in 2002 to provide Wholesale Banking services to corporate client’s .The shared service centre in Chennai continues to develop rapidly as more services and processes are migrated from other countries. The average number of employees in the India region in 2002 was 5251. Standard Chartered continues to be one of the leading banks in sub Saharan Africa. The group offers consumer banking and wholesale banking services in 13 African countries with a network of 149 branches and offices. 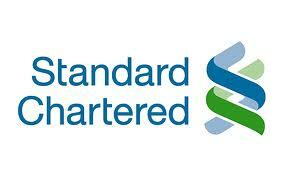 Standard Chartered recently launched operations in the Ivory Coast and re-entered Nigeria. Business in East Africa has performed well. Despite difficulties in Zimbabwe, the group’s business in Africa has delivered good results. The average number of employees in 2002 was 5009. Businesses in the United Kingdom and the Americas provide services to leading multinationals and major financial institutions, which trade or invest in Asia, Africa, the Middle East and Latin America. In 2003, the businesses in the Americans were extensively restructured to improve efficiency for future growth. The Group also operates a growing off shore banking business based in Jersey. The average number of employee in the United Kingdom and Americas in 2002 was 2098. The main idea behind acquisition and merger is making an investment and usually involves more than mere cash. When two separate legal entities merge every organization aspect of both companies are expected to change be it internal or external. Such management decision is taken for a variety of reasons but the ultimate aim is to add up to shareholder’s wealth. For banks operating in the consumer and wholesale banking sector, earning depends largely on the interest margin as well as the service charges. The Chartered Bank started operating in Bangladesh in 1948, opening a branch in Chittagong. The branch was opened mainly to facilitate the post-war reestablishment and expansion of South and Southeast Asia. The Chartered Bank opened another branch in Dhaka in 1966, where it is still headquartered. After the merger of the Chartered Bank with the Standard Bank in 1969, the Standard Chartered Bank took up a program of expansion. It increasingly invested in people; technology and premises as its business grew in relation to the country’s economy. In 1993, there was an organizational re-structuring, which led to a substantial expansion of the Bank’s business. Today the bank has in total four branches in Dhaka apart from the Chittagong branch, including an offshore branch at the Savar Export Processing Zone. All the staff members of Standard Chartered Bank belong to an internal trade union known as “Standard Chartered Bank Employees Union” the clauses of which are reviewed and agreed upon every two years. The goal of Standard Chartered Bank is to be the “Bankers of First Choice.” Towards that goal, the overall planning in the Organization is done at the headquarters level in Dhaka by a Management Committee (MANCO), headed by the CEO and consisting of the business heads of Corporate Banking, Consumer Banking, Treasury, and from the support divisions the heads of Human Resource, Operations and Finance Departments. They meet once a month, or when a special situation arises, to plan the strategic decisions. The decision making, although apparently based on a top-down approach, leaves room for participation down to the level of department heads, which are responsible for carrying out the planning of their department within the broad guidelines set by MANCO. Modernization of the Management Information System to achieve full automation by drastically cutting down paper work in the long run. Focusing on service quality and consumer needs. Recruiting and maintaining top-grade, efficient employees. Creating an excellent brand image of the Bank. Local and foreign currency remittances etc. Superior retail banking services comprising a wide range of deposit and loan products are offered by the Standard Chartered Bank to its individual customers. The Consumer Banking division constantly faces challenges and meets them by developing new products and services to fulfill the specific requirements of local TU Bank offers a 24-hour service in Bangladesh through its Money link ATM network and Phone-link Phone Banking services. Standard Chartered Bank has highly qualified professional staff members who have the capability to manage and meet all the requirements of the bank. Every account is assigned to an Account Manager who personally takes care of it and is available for discussion and inquiries, whether one writes, telephones or calls. The services of the Bank are personalized and backed by advanced computerization. Standard Chartered is highly recognized as a leading cash management supplier across the emerging markets. Our Cash Management Services cover local and cross border payments, collections, information management, account services and liquidity management for both corporate and institutional customers. Settle payments to client’s suppliers in a timely and cost-effective manner. Standard Chartered possesses 140 years of experience in Trade Finance. The bank has presence in over 40 countries, in addition to our extensive network of overseas banking partners and correspondents. The bank obtained ISO9002 accreditation for its quality service. Dedicated trade and payment systems are in place to make sure that your every transaction, even across different currencies, will be professionally executed. Standard Chartered Custody and Clearing Services’ combination of local market expertise, with the security offered by being an integral part of one of the world’s leading international banks has garnered an impressive client base which includes leading North American, European and Asian institutions. Standard Chartered offers the client a comprehensive range of Cash Management services. Whether it is a financial institution, a multi-national corporation or a domestic company, Electronic Banking application has the capability to support full range of Cash Management reporting and transaction initiation needs. It provides the secure, reliable and effective link between the client and client’s accounts anywhere across the Standard Chartered network. Working Capital Loan to help the client meet their financial obligations and operate effectively, the bank offers assistance in the form of working capital loans, overdrafts, term loans (including real estate loans and other secured debt), backstops and revolvers. According to the latest ‘Activities of Bank and Financial Institutions’ published by the Banking Division of the Ministry of Finance of Bangladesh, Global Markets, Bangladesh is, in terms of foreign exchange transactions, first amongst the multinational banks and 4th amongst all the banks in Bangladesh. Standard Chartered provides Commodity, Structured Trade and Export Finance global group (“Structured Finance”) service. Many financial institutions have been retreating from these markets. Standard Chartered stands out as the only bank which is committed to financing Commodity and Export Credit Agency supported trade flows. Access to long establish expertise in Commodity Finance and willingness to accept the credit risks associated with approved counterparties. Access to structuring skills for emerging markets medium term financing and to country limit availability for many countries in Asia, India, Middle East, Africa and Latin America. Presence on the ground in many emerging markets which facilitates transactions through local knowledge and the provision of local commercial banking infrastructure. Track record and capability for global arranging, underwriting and syndication in the whole area of Structured Finance. Loan Structure and Syndication: this facility helps borrowers to meet substantial financing needs by enabling them to reach the banks most interested in lending to their particular industry, geographic location and structure through syndicated debt offerings. Forward Contracts: Foreign exchange contracts to hedge exchange risks. Cross Currency Contracts: The customers can trade a wide range of currencies. Information analysis: The Treasury division publishes daily and weekly currency newsletters, which provide analyses of currency trends and related issues. Seminars and workshops are conducted for customers from time to time on foreign exchange related topics. Customers can also have access to the bank’s information database round the clock through Phone banking. Standard Chartered Bank’s Treasury division is the local market leader in debt instruments including both short and long-term fund mismatches through the money market and takes front line position in inter-bank and market developments. The money market is managed through tools like inter-bank call money rate, government T-bills of various maturities and inter-bank SWAPS. In future, new instruments like repo and reverse repo will be introduced which will add to the depth of the money market. Equipments like telephone, voice recorder, money 2000, telex, sealing system, time keeper, swipe doors, computers, fax internet are used to ease and fasten operations of the dealers to conduct deals. IBG, Bangladesh maintains Vostro Accounts of banking and financial institutions worldwide. Customers maintaining such accounts can remit funds throughout the country through the Standard Chartered Bank branch network as well as through – Chartered Bank’s local correspondent relationships. In order to increase and promote the correspondent banking business worldwide, IBG operates Nostro accounts to Bangladeshi banks and financial institutions in almost all branches spanning the Standard Chartered Bank global network. Group branches and subsidiaries provide full clearing and payment services in the UK, USA, Hong Kong, Malaysia, Singapore and many African countries. Worldwide payments services are facilitated by a network of branches supported by electronic cash management (available in select locations), fund transfer system and membership of SWIFT. IBG offers the full range of services available under Trade Finance to its customers. The Standard Chartered Bank network in China, the Far East, the Middle East, the Indian sub-continent, Africa, UK and USA makes SCB the natural choice of correspondents for advising, confirming, and negotiating their letters of credit in these territories. Tailored to meet the needs of individual and commercial customers, SCB’s current account offers benefits like free cheque book, ATM service, Phone banking, account access from any branch, and instant fund-transfer (free of charge) amongst our branches in the country. Minimum opening balance required is Tk. 50,000. Opportunity to apply for – safe deposit locker facility, utility payment service through ATM and any of our personal finance products. Can’t withdraw more than 10% of Deposit amount or BDT 25000 whichever is less without 7 days’ notice. Maximum 2 transactions allowed per week. From March 2004, Fixed Deposits having tenures of two years, three years, four years, five years are being offered. ** Renewal/ Roll-Over/ New bookings will require prior approval from Head of Consumer Banking. No withdrawal restriction irrespective of frequency or size subject to seven day’s notification. Specially designed foreign currency account for resident Bangladeshis. Offers wonderful opportunity to build a deposit base in foreign currency. Helps make payment for overseas commitments and dues like credit card bills, traveling expense etc. Recent changes: RFCD account is being offered in Euro from 2004. Applicable to Bangladeshis working abroad, it can be opened in USD, GBP and Yen without restriction on transaction frequency. Can be operated through nominees in absence of the accountholder. Fund remains in foreign currency and is freely remittable. Deposit can be made in foreign currency only (cash, TC or Drafts or transfer from other FCY account). Cash withdrawal from the account is in local currency only. Fund Remittance (in both LCY and FCY) to any place in and out of the country (without restriction). Fund can be used to make investment in Wage Earners’ Development Bond. This product permits ready access to cash without disrupting interest-earnings on fixed investments. It provides ready access to cash against quasi-cash investment papers like Terms deposits (Lcy / Fcy) Savings Certificates, Wage Earners’ Development bonds, ICB units certificates etc.). A unique savings plan that helps customer builds up a sizeable savings base over a period of 5 years. One can begin to save with a small amount, add affordable monthly installments for 5 years and get an amazing return on maturity. An easy and fast loan product that requires minimum documentation no cash security, no down payment and minimum processing time. Available for any personal reasons ranging from purchase of consumer durable educational expenses to medical treatment. 3 different repayment-tenor options – 12, 24 or 36 equal monthly installments. Can be secured by salary assignment and employer’s undertaking or personal guarantee. Phone link in Bangladesh was inaugurated in March 1997. It helps to bring banking within the dialing distance of the customers, providing access to account information and details, 24 hours a day from the privacy and comfort of their homes, offices and cars. Phone link service is offered to all customers free of charge. No additional charge for locker visit during locker hours. Privileges associated with the Priority card in reputed hotels, restaurants and stores locally and globally. Exclusive Priority Centre in Dhanmondi & Sylhet with reserved parking space. Dedicated Customer Relationship Personnel at the Priority Centres. And also commission free SCB Visa travelers’ cheques against travel quota, swifter transactions, pre-arranged banking services and invitation to special social and cultural events. Term Deposits, Local Currency Cash Cheques, Cheque Purchase, Drafts, Savings Accounts, Term Deposits, Telegraphic Transfers, Traveler’s Cheques, and Personal Loans. The charge for holding statements is BDT 1150 per annum per account, and for Additional/ Duplicate statement (Per cycle) is BDT 575 per statement. Photocopy of statements is Taka 1150. The annual fees for ATM card are Taka 690 per card, and the charge in case of damaged or lost card is Taka 600 per card. And phone banking and Internet banking and evening banking is absolutely free. For issuance of FCY cash, customers need to pay 1% of the transaction plus Taka 200/= per passport. And for issuance of Travelers cheque 1% of the transaction plus Taka 200/=. The charge for encashment is absolutely free in case of travelers cheque issued by SCB.And encashment for other bank’s issued T.C is 0.25% of the transaction value or minimum BDT 500. SCB also provides encashment facility for non-customers, is 0.25% of the transaction value or Taka 1,000. Product Division: There are different divisions for targeting different type of customers. Mainly consist of two divisions, that is Consumer Banking Division (C B) and other is Corporate Banking Division named Corporate and Institutional Banking (C & I). Analysis: Here from the survey I found that among 120 survey 33% are women and 67% are men. So we can come to the conclusion that most the SCBS customers are male. And many case we found that private service holders wife maintain their account that’s why the percentage move to 33% otherwise it can be less than 20%. Most of these cases we found those males are opening a joint account so that their wife can maintain their account. Analysis: In my survey questionnaire I gave 7 age segment and found 25% customer among the 120 fall in between 31-35 years then 22% fall in 41-45 age years old and 20% fall in between 36-40 years age. So we can say that most of the SCBs customers’ age range falls between 31-45 years range. But yet there are many customer whose age range fall above the average because they maintaining the account before the Independence of Bangladesh. At the same time we found some new customers who are student after SCB start the graduate account. So we can say that all aged customer hold account in SCB Bangladesh. 3) Please mention your monthly Family income range. Analysis: Standard Chartered bank is a place where customer or consumer requires a huge amount of money to start its initial operation with SCB. So it is not mentionable mostly high-income holders have account in SCB. Among 120, 50% we found have monthly family income more than 45000 and 37.5% have income in between 35001-45000. Highest numbers of people are fall in between this. Analysis: Here we can see that highest percentage is on private service holder because they are operating their salary account with SCB for better service and for definite benefit. Next is professional under this category all engineer, doctor, lawyer, Consultant etc which contains 18.3%. Then next government officer as we know a huge number of our population is doing govt. service but most of their money is black money that’s why they don’t want to operate in SCB although we found 13.3% are govt. service holder but most of them are senior official. Last we found same percentage on student and retired govt. official, which is 3.3%. 6) Are you happy with the charges that Standard chartered bank take for statement? Analysis: from the analysis it is clear that people are not happy with the Scb’s current statement charges. They think that it should be made less. 7) How much do you think Standard Chartered Bank should charge for statement from branch? Analysis: Here I want the customers suggestion regarding how much SCB should charge for the statement & certificate 41.7% say they can increase but the amount shouldn’t be over 300+vat, 35% said same as before. So their suggestion is SCB can increase the charges but not doubled. Where as 14% said SCB should reduce the charge to 150+vat and 9% said they could charge at best 450+vat but not the double. 8) Do you think Standard chartered banks required document for any kind of service to the client creates dissatisfaction level among customer? Analysis: Now if any customer wants to take any kind of services they need to present with different papers like passport for photo identification or authorization application with attested photo. But these docs increase dissatisfaction level among valued customer. That’s why 44.2% said they agree that it increases the dissatisfaction level and 29.2% said strongly agree with this statement. Standard Chartered bank is the first bank in Bangladesh who start the call center option in Bangladesh. Now they are start creating their call center activated. For this reason they try to make the customer call center oriented instead of branch oriented. SCB make many things free for customer if they collect through call center. But many problems associated with call center performance. The main problem, which is the basic criteria of the call center, is availability of phone line. The phone line is very much poor, sometimes branch employee can not connect the phone line when branch people suggest them about then they directly ask can you please connect the no. And branch guys fail to connect. But over all whenever customers make complain or want something from call center they will get that very soon. That’s why customers are annoyed with availability of phone line not with services. Analysis: Standard chartered banks product has the lowest interest rates in the market and they don’t care they don’t even have any plan to increase the rates. That’s why 45% survey people said interest rates are very poor and 34% said poor. And this is the only reason why post of the people uses their deposit in Govt. Sanchayapatra, which has highest interest rates. Analysis: For security purpose and for Bangladesh Banks requirement SCB want many documents for different services. But people said its not bad because these days every one is fear about terrorism. That’s why 72% said requires docs are ok. Analysis: SCB first introduce ATM booth service in Bangladesh now they have 35 ATM booth but problem is all of them are becomes old and there are no particular department for ATM branch people needs to repair them that’s why service quality degraded day by day. Only for this degraded services 53% said services are very poor and 18.3% said poor. But within 6 months this scenario will change as SCB is going to start new ATM booth department who are going to take care all of them and a special services will become standby so that anytime they can solve the problem. Analysis: As a multinational bank SCB has highest number of 24 branches and 35 ATM booths and they are only bank in Bangladesh who is connected online for all these branches and ATM. That’s why there is no question about the brand name. That’s why most of the people said the brand name is excellent and good. The SWOT analysis comprises of the organization’s internal strength and weaknesses and external opportunities and threats. SWOT analysis gives an organization an insight of what they can do in future and how they can compete with their existing competitors. This tool is very important to identify the current position of the organization relative to others, which are playing in the same field and also used in the strategic analysis of the organization. In Bangladesh SCB has wide range of customer base and is operating efficiently in this country. SCB has the reputation of being the provider of good quality services to its potential customers. SCB is the first bank in Bangladesh to issue Money link (ATM) card. As the market leader, they showed the most substantial corporate strength among the foreign banks by grabbing the opportunity that exists in the market. SCB has a bulk of qualified, experienced and dedicated human resources. Interest of loan is lower in SCB than other banks. SCB has more and high fees and charges compared to its rivals. Such as minimum balance fee, ledger fee etc.If a customer takes a statement for one year, he is charged 575 tk .if he takes a bank solvency certificate, he has to pay 262.50 tk from his account. If any customer does not have minimum balance in his account, then 200 tk charges will come. Because of these charges, customers are being dissatisfied and SCB is loosing its customers. SCB has fewer branches than their competitors. Such as SCB have only 18 branches whereas Uttara Bank Limited has 198 branches and 12 regional offices. SCB often has problem with ATM machines. Customers often complain that the ATMs are out of order. SCB hasn’t that much good market share as other multinational bank. It’s as because SCB’s marketing strategy is not aggressive, they always follow defensive/ conservative strategy. This may be considered as weakness. Bangladesh has a huge consumer base for maintaining several accounts. So SCB has the opportunity to keep these customers by reducing its current fees and charges. Our country’s growing population is gradually and increasingly learning to adaptation of consumer finance. As the bulk of our population is middle class, different types of products have very large and easily pregnable market. Increased competition by other foreign banks is a threat to SCB. At present HSBC and CITI Group are posing significant threats to SCB regarding retail and business banking respectively. Furthermore, the newcomers in private sector such as Prime Bank, Dutch Bangla Bank, EXIM Bank, BRAC Bank, Southeast Bank, Mercantile Bank, Social Investment Bank, Islamic Bank are also coming up with very competitive force. In today’s economy, substantial amount is remaining idle and currently the investment in the secondary market by foreign is relatively low. These economic situations of the country indicate political threats. SCB account is not for people of all income. Only upper-middle class & upper class people can afford to open an account with SCB and maintain it. Moreover, SCB has more and high fees and charges compared to its rivals. Its rate of interest on savings account and fixed deposit receipt is lower than its competitors. Still, SCB has a wide range of customer base and doing business better then its rivals. The main reason behind it is that SCB provide very good quality service to its customers. Only because of good service, they have come so far. Other competitor banks offer products for all income people. Their interest rate on savings and FDR is also higher than that of SCB. They do not charge so much like SCB. But still they are struggling to take away the number one position from SCB only because their service quality and human resources are not of that standard like SCB. 1) The bank should immediately revise its tariffs to retain its customers. 2) The bank should increase its branches and ATM ‘s to allocate them in all over the country to provide its services to every corner of the country. This will be beneficial for both the SCB and for our banking industry. 3) Intelligent Queue Management should be introduced in Sylhet Branch. 4) Conduct customer surveys to gather view of the customers for enabling current level of satisfaction. 5) The branch officials should go through training and other motivational programs more often that would liven up their spirit of work to a great extent. 6) More manpower is required to handle the manifold problems associated with customer services. 7) More promotional offers should be made for current accounts bearing large balances. 8) Increasing contribution on entrepreneurship and economic development by providing proper consideration in such area. 9)Bangladesh is an Agro-based economy, but so far the bank does not have any schemes or policies in this agricultural sector, which is definitely a point of consideration. 10) The Standard Chartered bank should do are maintaining the standard during recruiting the employees. An employee bears the brand name so if employees make some thing wrong that will ultimately affect Standard Chartered bank. And consumer banking directly deals with customer and they face the major problem of loosing customer if employees make something wrong. 11) Standard Chartered bank should create a new division whose major responsibility will be looking after the ATM booths. These days people are interested to make their banking transaction through ATM but due to some technical problem most of the time they face problem in ATM. So new division can solve this problem by solving the technical problem right on time and make servicing of machine regularly. In retrospect of the marvelous growth of consumer banking revenue over the last 20 years and contemplating the intensity of competition yet to come, it is crucial for SCB to rethink its strategies and marketing plan to sustain the growth consumer banking revenue. Correspondent banking service providers domiciled in Bangladesh are expected to be fighting for a bigger pie, as the growth prospect of the country’s correspondent banking business is limited. One of the ways to achieve that objective is to maximize consumer-banking revenue generated from local clients and introduces more local products. At the same time Standard chartered bank must have to consider the consumer mind setup. As a multinational bank customer want more benefit from them then other 3rd generation bank. So instead of making profit only they should care about the customer as well. They can start many new savings product like millionaire scheme. But here problem is that these entire schemes are very costly. So they should introduce something for the middle class, but still SCB continuously working with upper class and upper middle class. When this type of facility is come on front then and only then Standard Chartered Bank can compete with other banks like HSBC, Prime Bank, Dutch Bangla Bank. Customer is the heart of the bank and if SCB can make them satisfied and make them return to the bank with their deposit it will become the largest profitable bank in Bangladesh within a short period of time.